Today’s engines are highly technical, advanced, and quite different from vehicles in the past. Regular tune-ups keep your car running at its best, bringing back power and efficiency that you need. Just because your car is running, doesn’t mean its running efficiently. When your car is running rough, hard starting, stalling, and maybe not getting the fuel mileage it used to get, you might need a modern tune-up that will correct the issues you are experiencing. If you avoid regular tune-ups, you may be causing more damage to your vehicle which will in the end cause more headaches and hurt your wallet with more repair costs. At Coopers Auto Repair Specialists we have the latest equipment and ASE Certified technicians trained to perform an engine performance analysts that will determine the exact cause of your vehicle concerns. We will run a series of tests and procedures to determine the condition of the tune-up related components. 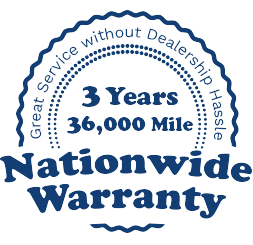 We will let you know what is the best option for you and your vehicle. When your vehicle is running rough you can count on us to get you back on the road running smooth.